This past Saturday, more than 200 students and members of the community convened at FIU’s Biscayne Bay Campus to take part in the 9/11 National Day of Service, a federally-recognized day of unity, charitable service and remembrance that is observed annually around the world. Participants paid tribute the victims of the September 11 terrorist attacks and honored the heroes who selflessly served in response to the catastrophic event. On this year’s day of remembrance, the Center for Leadership & Service collaborated with the School of Environment, Arts and Society (SEAS) to provide much needed help to the natural environment surrounding Biscayne Bay Campus. 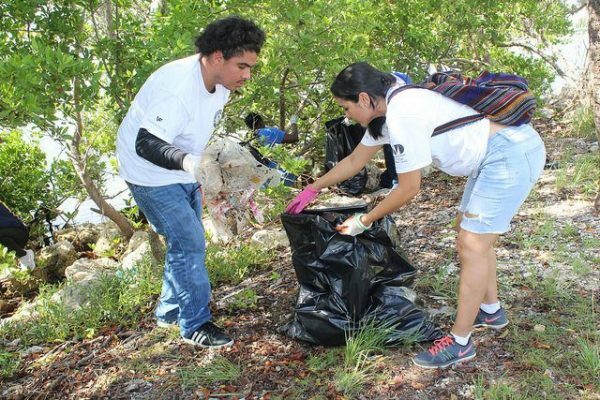 Students engaged in a coastal cleanup to help maintain the health of Miami-Dade County protected ecosystems, as well helped care for SEAS’ native butterfly gardens by removing weeds, trimming native plants, adding cardboard and mulch. The event provided an excellent opportunity for students and community members to experience impactful service alongside fellow citizens. To learn more on how you can serve the community, please visit the Center for Leadership and Service.